However, some exporters, due to lack of familiarity/awareness, committed the three mistakes due to which their IGST refunds are stuck and requested for extension of date. Therefore, to provide further relief to the exporters, the CBIC has extended the rectification facility to Shipping Bills filed up to 15.11.2018. The relief has been provided in respect of only those shipping bills which were scrolled with a lesser amount than the eligible amount as the shipping bills which were scrolled due to the IGST paid amount erroneously declared as ‘NA’ are already being handled through officer interface. (c) Typographical mistake by the customs officer while sanctioning the refund through officer interface. · A scanned copy of the RRR may also be mailed to dedicated email address of Customs locations from where exports took place. · The designated/concerned AC/DC will then proceed to sanction the revised amount after due verification through the option provided in ICES, a detailed advisory on which will be communicated by DG Systems to all the System Managers shortly. 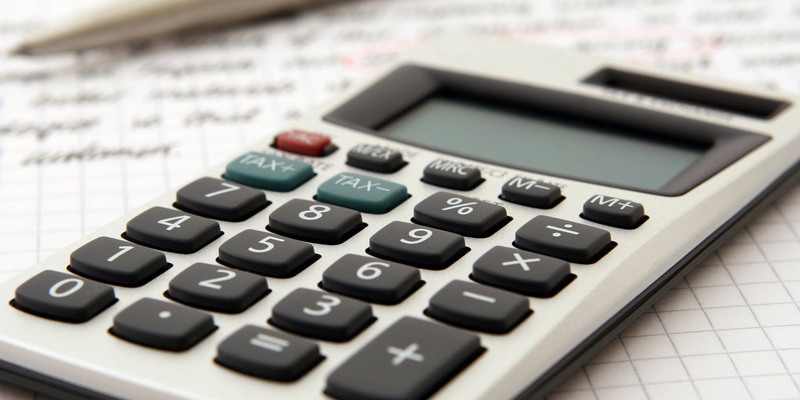 · Once the revised amount is approved by the designated AC/DC in the system, a fresh scroll will be available for generation for the differential amount only. Note: This facility can be used only once for each eligible Shipping Bill to sanction the revised IGST amount. I declare that all the details declared given above are true to my knowledge and all the items contained in the above invoices have been exported out of India. 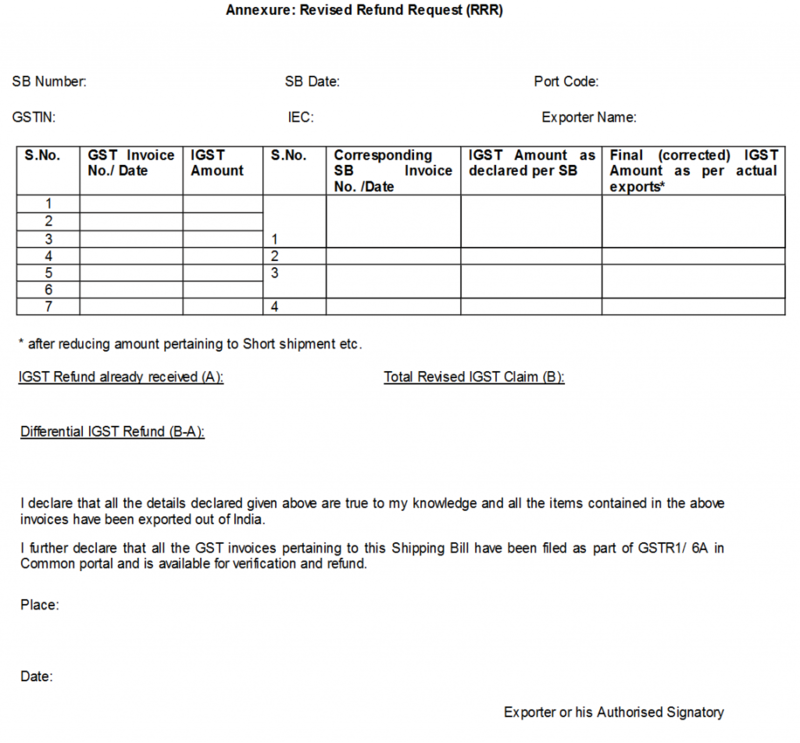 I further declare that all the GST invoices pertaining to this Shipping Bill have been filed as part of GSTR1/ 6A in Common portal and is available for verification and refund.